Last summer, AIGA Colorado explored the “Power of the Poster,” hosting a show and auction at VSA Colorado’s Access Gallery. The show featured pieces highlighting social injustices with works submitted by AIGA board members, renowned designers Milton Glaser and Lanny Sommese, and work yielded from AIGA mentorship programs. 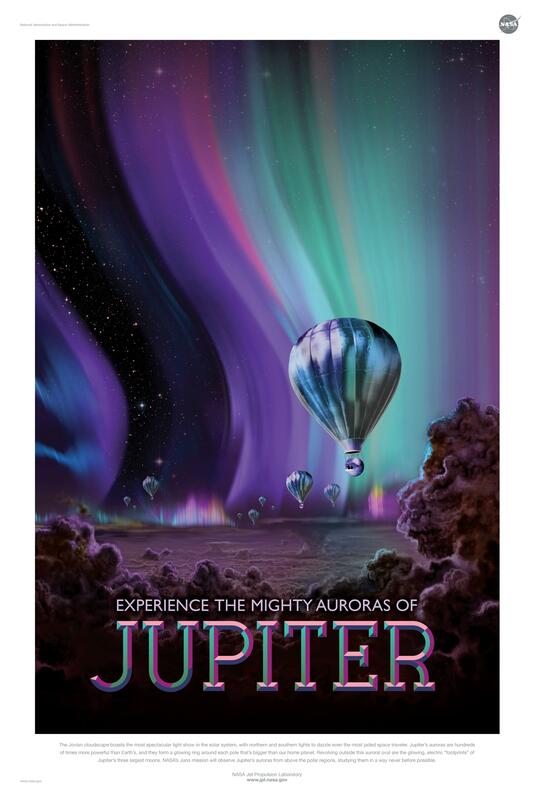 Well, apparently the message got through to the scientists and engineers at NASA’s Jet Propulsion Laboratory (JPL), because they recently commissioned Invisible Creature in Seattle to create fourteen throwback-style travel posters for their various space missions. The result is a stunning collection of work that inspires space exploration in the same fashion as travel agency posters of yore did for terrestrial destinations. There are planets like Mars and Venus, notable moons like Titan and Europa, and even extragalactic pursuits like Kepler 16b and PSO J318.5-22. And the best part about these designs is all fourteen have been released to the public for free! For those without access to professional printing facilities, they can be purchased at both the JPL Store and Invisible Creature.